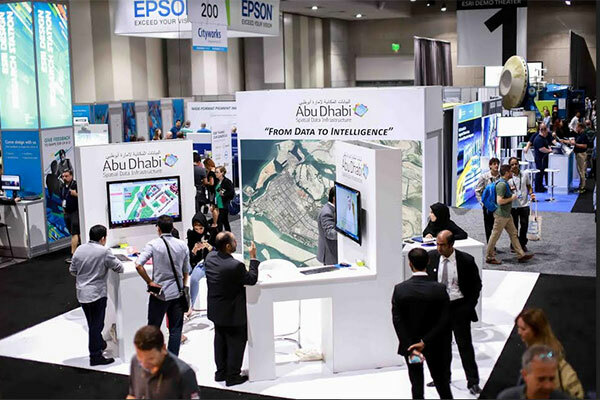 The Abu Dhabi Smart Solutions and Services Authority (ADSSSA) has announced the Smart Geospatial Contact Centre, a first-of-its-kind government level project being implemented in cooperation with Esri, a global leader in geographic information system software. The announcement came at the end of its five-day participation in the International Esri User Conference 2018, which was held recently in San Diego, California. The event discussed the achievements of government entities and the prospects of cooperation between various international parties to exchange experiences and learn about the latest technologies and practices using the geographic information system (GIS). The Smart Geospatial Contact Centre is based on the use of machine learning technology, Big Data and Artificial Intelligence (AI), which employs state-of-the-art GIS technologies and mechanisms aimed at modernizing the operations of the Abu Dhabi Government Contact Centre. Under the partnership, the Abu Dhabi Government will be the first in the world to provide a comprehensive platform that serves the geospatial infrastructure that is able to integrate data from all government entities in Abu Dhabi, and handle a large amount of data accurately, thus contributing to provide services and projects efficiently. Dr Rauda Saeed Al Saadi, director general of ADSSSA, highlighted the importance of the Smart Geospatial Contact Centre project, which is the first of its kind government initiative in the world, and noted its role in supporting Abu Dhabi's leadership in the field of GIS as well as in promoting the emirate’s contribution in digital transformation and technology around the world. She noted: “We spare no effort to elevate the government services to achieve the highest international quality standards through the optimal use of technology. “ADSSSA seeks to benefit from the important international conferences to know about the latest technologies and future trends in the field of providing government services, especially in relation to GIS, and entering into strategic partnerships with stakeholders in the field of smart technology, technological development and smart services systems,” Al Saadi added. Jack Dangermond, founder of Esri, said:"This new concept of services has empowered stakeholders that benefit from developing and accelerating the completion of business, services and decision-making in various sectors, contributing to elevate the efficiency of these institutions significantly in a short time”.